Computec has been a leader and pioneer in providing IP Telephony, Unified Communications and Collaboration Solutions. By providing reliable and advanced communications capabilities to our clients this has allowed our clients and their employees to be connected no matter where our clients' staff may be working with a full suite of IP Communications solutions and endpoints. Computec has been helping our clients to take advantage of these new technologies which is allowing our client to enhancing productivity and reducing the cost of communications by consolidating voice, video, and data networks plus laying the foundation for unified communication through out their organizations. Computec's team of experienced and certified engineers have teamed up with many of the leaders and largest IP Telephony and Unified Communications hardware and software providers to assist our clients in taking advantage of the convergence of IP based systems and to provide these organizations with the knowledge and skill sets required to design and integrate a myriad of IP communications applications available today into a unified solution. Computec has been a leader and pioneer in providing IP Telephony systems in Japan and Asia. We have been the first to implemented many Cisco IP phone systems for small and medium-sized clients in Japan and Asia. Our system and network design experiences over the last 20 years have been highly valued in the voice communications field that requires a complete understanding and knowledge of networking, server applications and voice systems. Voice and Data integration is possible by implementing IP phone systems on the IP data network. Management costs are reduced by having a single point of management. Computec can provide solutions that can reduce equipment and cabling infrastructure investments by implementing an IP phone system with a PC for a true Unified Communications experience. IP video telephony has been changing the way communications are being made which brings the value of video to telephony and brings the value of telephony to video. IP video telephony can be achieved by providing interactive video over an IP network that converges voice, video, and data traffic all over a common path. The convergence of voice and data applications onto a single managed, secure infrastructure for the financial community is a growing phenomenon. 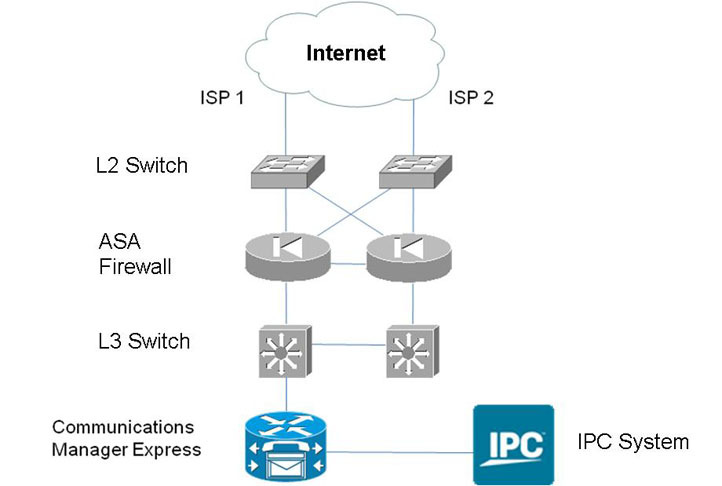 Solutions using Cisco Call Manager Express and Cisco soft phone with IPC's Alliance Express features IPC's highly intuitive IQ/MAX turrets, leveraging Voice-over-IP technology and delivering maximum clarity, speed, control and power to traders' fingertips at reasonable prices. Computec was the first in Japan to integrate these systems together and our clients are enjoying the benefits of the integration of two market leaders' systems. This partnership and others have been expanding opportunities for small to medium-sized financial clients and multinationals' branch offices seeking to establish or improve their communication between user desktop instruments (turrets, consoles, speakers and intercom modules), computers, data networks and telecommunications lines to work with their back office operations telephone systems at moderate prices. Originally internet telephony was used for consumers who were willing to endure slight call quality issues for significant cost savings; however this quality of service issue kept corporate users from using internet telephony. Recently with the increase of internet bandwidth and new services being provided especially for corporate users, we are seeing a strong demand for external calling through the Internet via SIP. Computec has teamed up with the world leader in Internet telephony and we are working with them and our corporate clients to use these new technologies to dramatically cut communication cost especially for overseas calls. Besides the significant cost savings, the use of Internet telephony offers a wide array of new services and applications such as enabling click-to-call buttons on Web sites; receive inbound calls from registered endpoints for no extra cost; set up direct-inward-dialing to phone numbers that reach desktops through IP PBXs and many more.